Fabian Cancellara is on winning form so far this season, which bodes well for one final run at the Milano-Sanremo monument. SAN BENEDETTO DEL TRONTO, Italy (VN) — Fabian Cancellara is winning his way to Milano-Sanremo on Saturday. The Trek – Segafredo leader, racing in his final season, won Tirreno-Adriatico’s stage 7 time trial Tuesday afternoon and added to his 2016 haul: now four victories, including a record third win at Strade Bianche. Besides being a four-time TT winner in San Benedetto, Cancellara won the overall Tirreno title in 2008. That year, he went on to win the Milano-Sanremo monument the following weekend. He placed on the podium four other times at “La Primavera” in subsequent years. With his season so far — victories in Spain, Portugal, and Italy — Cancellara is a favorite again to win on Sunday. A win would go well with Cancellara’s 35th birthday Friday and would be fitting in his last season. He announced over the winter that, after 16 years, he would retire with the close of 2016. Cancellara is on a list of favorites that includes Alexander Kristoff (Katusha), Michael Matthews (Orica-GreenEdge), BMC’s Greg Van Avermaet, and Tinkoff’s world champion, Peter Sagan. 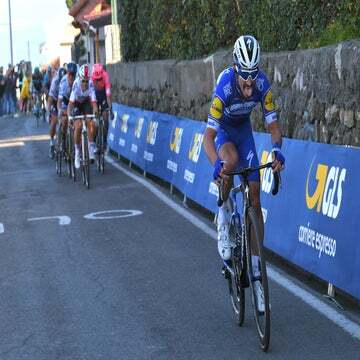 They will race the traditional course along the Ligurian coast over the Cipressa and Poggio and without the Mànie climb. Cancellara shows no sign of easing off in his final year. On Tuesday’s out-and-back course along Italy’s east coast, he clocked 11:08 minutes, compared to 11:23 in 2015. He said the win was “business as usual,” but 2016 seems to be a fine vintage for the Swiss. In 2015, Cancellara crashed and broke vertebrae in the E3 Harelbeke and abandoned his classics campaign. 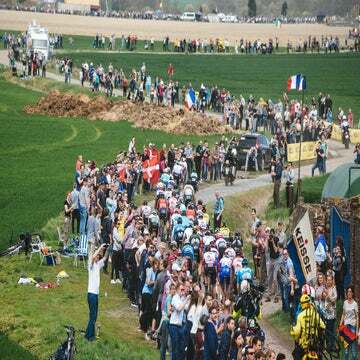 He fought back to wear the yellow jersey in the Tour but crashed in a large pile-up while in the lead and had to quit. In the Vuelta a España, he fell ill and ended his season with disappointment. Also on the menu, Cancellara has the major cobbled classics and the Giro d’Italia, where he wants to wear the pink jersey for his first time.